Meet the Folks Putting the Care in the Carious Fight! Today is November 6th, and that means midterm elections are finally here! Did you go practice your civic duty by voting? Before heading over to cast that ballot, be sure to familiarize yourself with the candidates and issues at hand. Your vote can make all the difference in the implementation of laws and your representation in office. Don’t think your vote will matter? Think again! Texas might not have become part of the United States back in 1845 had one Senator voted differently. The vote in the U.S. Senate was 27-25 to annex Texas to U.S. In addition, just last year in a Virginia state election, a deadlock tie warranted the old fashion method of picking out of a hat to determine a winner. After each candidate received 11,608 votes, an old Virginia law dictates that luck will be the deciding factor. Don’t let luck be the deciding factor; go out and vote, make a difference, and let your voice be heard. As healthcare professionals in the field of dentistry, you should be ecstatic in knowing that SEVEN dentists tossed their hats into the midterm elections for U.S. Congress this year! With more dentists getting involved in government, you can count on our voices being heard in the future for the betterment of our profession and care of our patients. Unfortunately in the two primary elections held prior to the midterms, Dr. Fred Costello and Dr. Gary Wegman were not victorious; however, five dentists will have their political fates decided after the ballots are counted. Take a moment to look at the brave dentists putting the care in the carious fight! 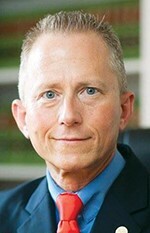 -Dr. Simpson is a Republican pursuing re-election for his position in the House of Representatives. -Pursuing his eleventh term in Congress, Rep. Simpson currently is a member of the House Appropriations Committee and chair of the Subcommittee on Energy and Water Development. 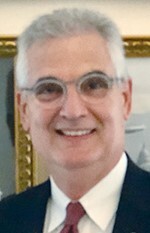 He also serves on the Interior, Environment and Related Agencies Subcommittee and the Labor, Health and Human Services, and Education, and Related Agencies Subcommittee. 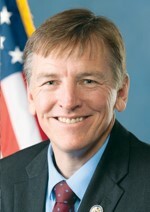 -Dr. Gosar is a Republican seeking re-election for his position in the House of Representatives. -Pursuing his fifth term in Congress, Rep. Gosar is a member of the House Committee on Natural Resources and the House Committee on Oversight and Government Reform. He is also chair of the Subcommittee on Energy and Mineral Resources and vice chair of the Subcommittee on the Interior. 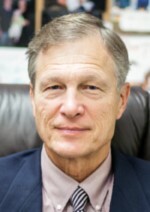 -Dr. Babin is a Republican seeking re-election for his position in the House of Representatives. -Pursuing his third term in Congress, Rep. Babin serves on the House Transportation and Infrastructure Committee and the Committee on Science, Space and Technology. He is also chair of the House Subcommittee on Space. -Dr. Ferguson is a Republican seeking re-election for his position in the House of Representatives. 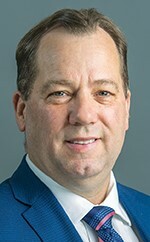 -Pursuing his second term in Congress, Rep. Ferguson is currently on the House Budget Committee, Transportation and Infrastructure Committee and the Education and Workforce Committee. -Dr. Van Drew is running as a Democrat in New Jersey’s 2nd District, designated as the state’s most southern district. -Practicing dentistry in Pleasantville, N.J., Dr. Van Drew is also serving a state senator in the 1st district. -Dr. Costello ran as a Republican in Florida’s 6th District but did not win the August 28 primary. -Originally from Ormond Beach, Fla., where he formerly served as mayor, Dr. Costello has also been a two-time Florida state representative. -Dr. Wegman ran as a Democrat in Pennsylvania’s 9th district but did not win the May 15 primary. -Dr. Wegman practices dentistry in Reading, Pa. and has plans to run again in 2020. During my undergraduate career, I wasn’t very focused and did not have a well-defined goal. This all changed after my exposure to dentistry. Unfortunately, this realization happened a little too late, and I was already at the tail end of my undergraduate career. Because of this, I needed to take a non-traditional path into dentistry. As some of you already know, one of the common ways to become a competitive applicant as a non-traditional student is by completing a post-baccalaureate program, and I did just that at Mississippi College. I emailed several schools, but fortunately maintained a line of communication to LSU through Dr. Cheramie. He was the one that recommended that I attend Mississippi College and graduate with a 4.0. In addition to that, he also gave me advice for the DAT, and what my application lacked so that I could address those weaknesses in preparation for the application process. Keeping the school updated on what I was doing via email and phone let them know that I was proactive in my attempts to improve my application. After getting accepted into MC’s program, I then went online to see what else I could find out about the school. I didn’t want to waste any time, so I took as many classes as I possibly could so that I could graduate in one year. I asked LSUSD alumni about difficult classes in the first and second year of dental school, and then chose as many classes that were relevant. The major classes that I ended up taking were Medical Physiology 1 / 2, Pharmacology 1 /2, and Gross Anatomy. Overall, having a heavy workload forced me to develop time management skills. Taking Medical Physiology helped me learn how to study for classes that weren’t necessarily heavy in volume, but difficult in understanding concepts. Gross Anatomy was difficult due to the sheer volume of rote memorization I had to do. Pharmacology was an amalgamation of rote memorization and conceptual information. Taking these major classes improved my studying efficiency, and sufficiently prepared me for the rigors of dental school. Doing well gave me the added bonus of having my professors at MC to write me letters of recommendation for the upcoming application cycle. Most people take the DAT during their undergraduate career, but I chose to hold off on that simply because I felt that I was not prepared for it.After I graduated MC, I felt that I was mentally prepared to study for the DAT. Despite not having studied the information tested on the DAT, after several attempts, I finally got the score I needed to get. Although my application was significantly better than it had been previously, I still felt the need to put myself in even more advantageous positions to improve my chances of getting accepted. By the time the application cycle opened, I had already prepared everything in advanced. Doing this allowed to me finish sending in my application before 2 hours had even passed since the opening of the cycle. I believe that having everything ready, and sending in everything early allowed me to have an early interview in August. Having a strong support system helps, but even more-so as a non-traditional student. My parents supported me financially to allow me to focus solely on my classes. Being older than the average student, sometimes I was discouraged and even questioned if I was getting into dentistry too late, but my family, significant other, and Dr. Cheramie kept me positive during those times. Despite the feeling of being late, you cannot let it overwhelm you or affect your performance. Everybody’s situation is different, and you shouldn’t get stuck comparing yourself to others. Cast your net wide, and don’t give up!